I am Reynaldo Mahinay born on March 5, 1971, currently 40 years old and born and raised in Barangay Landing, Limay, Bataan. I am married to a simple laundry woman and have two children, namely: Reynaldo Jr., now in Grade 6 and Prima Joy, Grade 1. Before my arrest I was part of the Samahan ng mga Maralitang Mangingisda (Organization of Poor Fishermen) and I worked as an organizer of poor fishermen. I was arrested while giving education to these groups in Limay, Bataan on September 30, 1996. I was charged with a criminal case of murder and it was heard at Branch 4 in Balanga City. I was sentenced with Reclusion Perpetua. 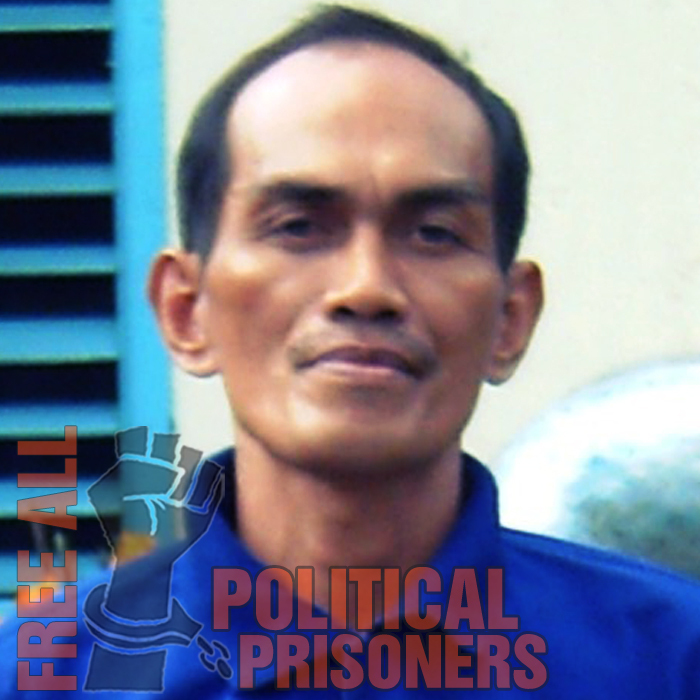 I have been in jail for 17 years already.. 3 years at the Balanga Provincial Jail, then 12 years at the Maximum Security Compound , National Bilibid Prison then almost 3 years at the Medium Security Compound of the New Bilibid Prison in Muntinlupa City where I am currently imprisoned. I am supposed to be out now but nothing has been done to my release.